You'll explore the less-touristy side of things at Frederiksborg Castle and Viking Ship Museum. 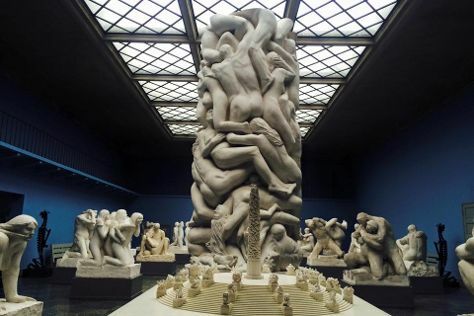 Satisfy your inner culture vulture at Kronborg and Ny Carlsberg Glyptotek. Step out of Copenhagen to go to Roskilde and see Roskilde Cathedral, which is approximately 40 minutes away. 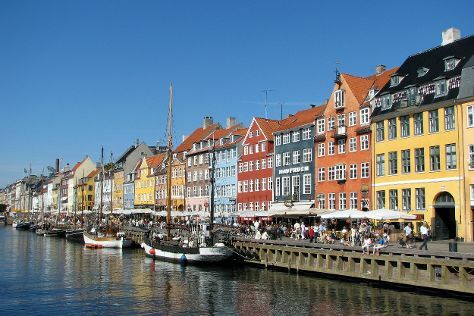 Next up on the itinerary: appreciate the extensive heritage of Nyhavn, take an in-depth tour of National Museum of Denmark, wander the streets of Stroeget, and pause for some photo ops at The Little Mermaid (Den Lille Havfrue). To see reviews, where to stay, and other tourist information, read Copenhagen visit planning website . Belo Horizonte, Brazil to Copenhagen is an approximately 24-hour flight. The time zone changes from Brasilia Time to Central European Time, which is usually a 4 hour difference. Plan for a bit cooler temperatures traveling from Belo Horizonte in July, with highs in Copenhagen at 26°C and lows at 14°C. Wrap up your sightseeing on the 13th (Sat) early enough to travel to Stockholm. Satisfy your inner culture vulture at Fotografiska and Vasa Museum. Royal Palace and Nordiska museet will appeal to museum buffs. 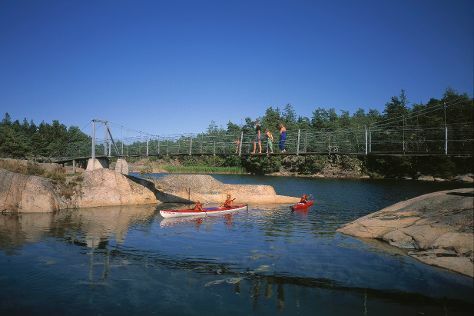 Step out of Stockholm with an excursion to Stendorren Nature Reserve in Tystberga--about 1h 25 min away. And it doesn't end there: head off the coast to Stockholm Old Town, explore the activities along Stockholm Canals, get engrossed in the history at Hallwyl Museum (Hallwylska Museet), and see the interesting displays at Medieval Museum. For reviews, ratings, more things to do, and more tourist information, read Stockholm trip site . Traveling by flight from Copenhagen to Stockholm takes 4 hours. Alternatively, you can do a combination of train and flight; or drive. In July in Stockholm, expect temperatures between 26°C during the day and 14°C at night. Finish your sightseeing early on the 18th (Thu) to allow enough time to travel to Oslo. Step out of the city life by going to Oslo Fjord and Oslomarka. Get a sense of the local culture at The Kon-Tiki Museum and National Gallery of Norway Nasjonalgalleriet. And it doesn't end there: ponder the world of politics at Rådhuset, explore the world behind art at Munch Museum, step into the grandiose world of Akershus Castle and Fortress (Akershus Slott og Festning), and explore the landscape on two wheels at Bygdøy. To find where to stay, traveler tips, maps, and tourist information, go to the Oslo trip builder . Fly from Stockholm to Oslo in 3 hours. Alternatively, you can take a train; or drive. Expect slightly colder evenings in Oslo when traveling from Stockholm in July, with lows around 11°C. Finish your sightseeing early on the 23rd (Tue) so you can travel to Belo Horizonte. You'll explore and learn at Casa dos Contos and Oratory Museum (Museu Do Oratorio). Get a sense of the local culture at Church of Sao Francisco de Assis and Basilica of Nossa Senhora do Pilar. 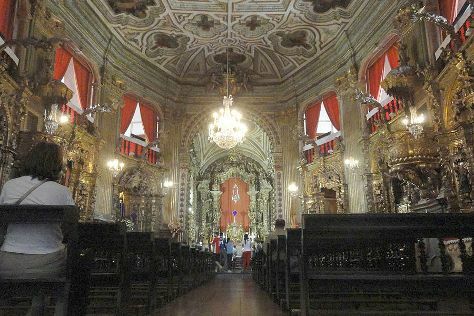 Explore Belo Horizonte's surroundings by going to Bom Jesus do Congonhas (in Congonhas) and Ouro Preto (Mina Du Veloso, Praca Tiradentes, & more). The adventure continues: admire the masterpieces at Memorial Minas Gerais Vale, get a sense of history and politics at Casa Azul, stroll through Parque das Mangabeiras, and pick up some local products at Roca Capital. To see traveler tips, ratings, maps, and tourist information, refer to the Belo Horizonte trip itinerary planning site . Traveling by flight from Oslo to Belo Horizonte takes 21.5 hours. The time zone changes from Central European Time to Brasilia Time, which is usually a -4 hour difference. Expect a bit warmer evenings in Belo Horizonte when traveling from Oslo in July, with lows around 19°C. Finish your sightseeing early on the 27th (Sat) so you can travel back home.